Last year during Diwali, nearly all of the 1.02 lakh employees of MSRTC had gone on an indefinite strike, demanding a salary hike as per the 7th Pay Commission. 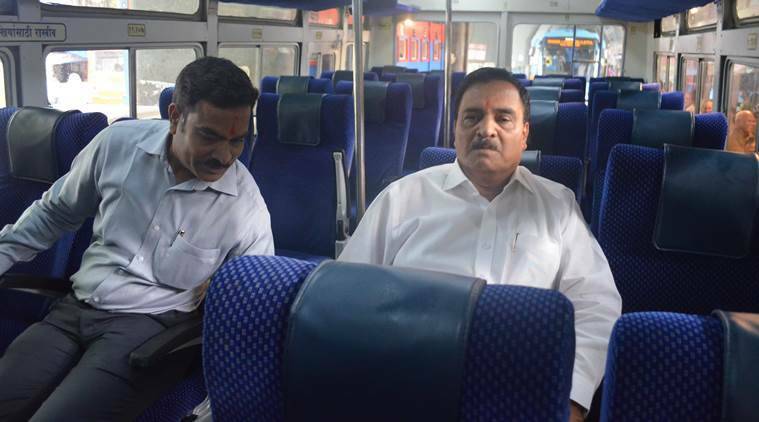 The recent strike by the workers of Maharashtra State Road Transport Corporation (MSRTC) was a result of the “ego problem” of labour unions, state Transport Minister Diwakar Raote said on Sunday. On Friday, MSRTC employees went on a strike at several of the state-run undertaking’s depots demanding an immediate pay hike. Bus services were affected due to the strike and thousands of commuters bore the brunt of it. The strike was called off yesterday after negotiations with Raote. “When I spoke to the managing director (of MSRTC Ranjit Singh Deol), I told him that the strike could not have been launched by the employees on their own as they have been barred by the high court from doing so. All the employees are connected with some labour union or the other,” Raote told PTI. “This was just an ego problem of the labour unions. They wanted to officially sign the agreement of their salary hike with the government, which was announced on June 1,” he added. As per the agreement, new employees will get a salary hike of Rs 4,000, while those who have been working since 2000, will get a hike of Rs 7,000, the minister said. “They did not make any new demand of salary package during the meeting and agreed to the June 1 decision. I just satisfied their ego,” Raote said. There are 21 recognised labour unions of MSRTC. Last year during Diwali, nearly all of the 1.02 lakh employees of MSRTC had gone on an indefinite strike, demanding a salary hike as per the 7th Pay Commission. MSRTC has 17,500 buses in its fleet that makes about 56,756 trips everyday in the state. It has an annual turnover of Rs 7,000 crore.